At PDC 2009 Oslo was renamed to SQL Modeling and it left a lot of developers scratching their heads. What better way to sort it all out than to talk with someone deep into the stack. We sat down with Lars Corneliussen to see how this is all going to turn out and it what it means for developers. Definitely an interesting show as it paints a different picture about where things are going with M, M Grammar, SQL modeling, Entity Framework, Quadrant and so on. 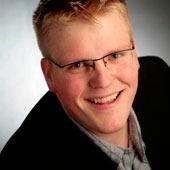 Lars Corneliussen is a Developer and Consultant with itemis AG in Lünen, Germany. After his education he specialized in content management and e-commerce. He programs .NET since the very beginning in 2001 and has been blogging, speaking at public events and writing articles for arbitrary technical magazines for the last couple of years. His current interest is model-driven software development, agile craftsmanship and software architectures. He is also involved with Microsoft as a Technical Advisor for the Connected Systems Division.